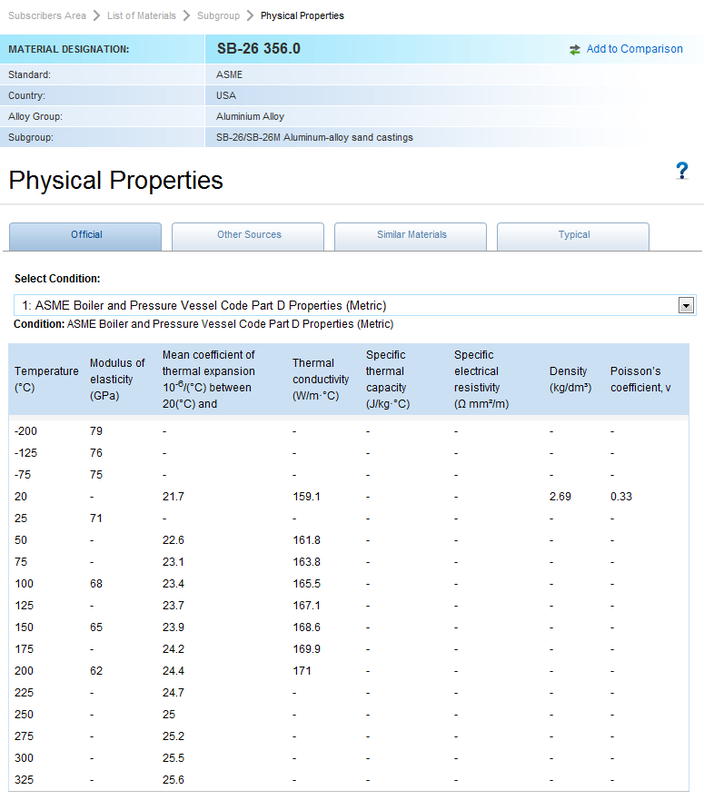 Physical properties are available for a huge number of materials in the KEY to METALS database. 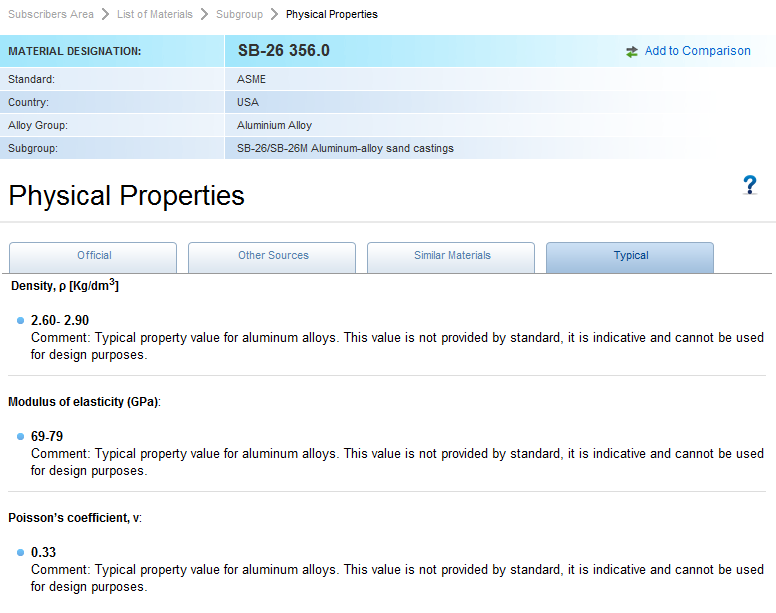 Data is available through official information from standards and also through KEY to METALS unique similar materials cross referencing functionality, adding another dimension to your search for physical properties data! 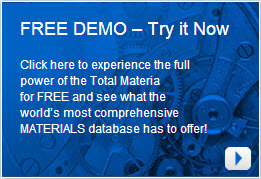 For you’re a chance to take a test drive of the KEY to METALS database, we invite you to join a community of over 150,000 registered users through the KEY to METALS Free Demo. 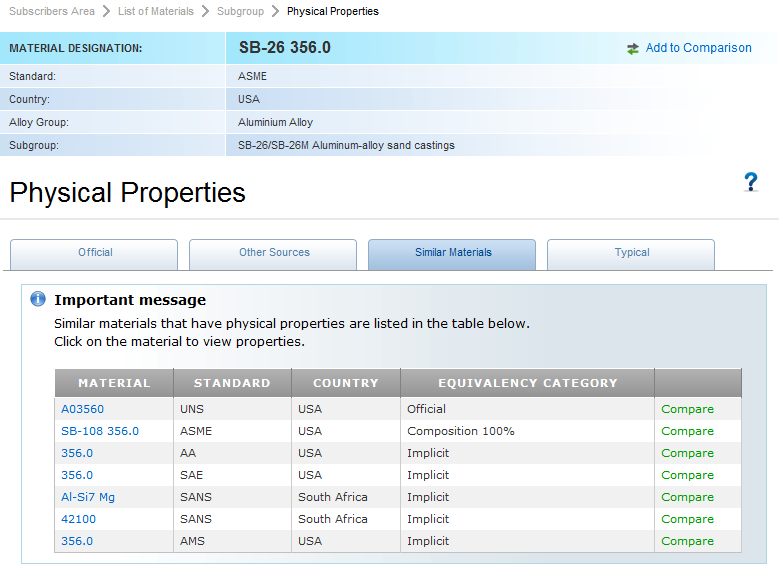 © 1999-2010 Key to Metals AG. All Rights Reserved.